Following the sold-out and critical success of The Red Shoes New Adventures returned in 2017 with one of our most popular and beloved productions, Matthew Bourne’s Cinderella – a thrilling and evocative love story, set in London during the Second World War. With Lez Brotherston’s sumptuous costumes and sets, which won an Olivier Award for his original designs, lighting by Olivier Award-winning Neil Austin and video and projection designed by Duncan McLean, Cinderella is performed in Surround Sound, designed by Paul Groothuis and featuring a specially commissioned recording played by a 60 piece orchestra. Matthew Bourne’s vivid story telling has never been more heart-stopping and touching, and will take the audience into the heart of Prokofiev’s magnificent score, and the sights and sounds of war-torn London. The show was first seen in the USA premiering on 30 March 1999 at the Ahmanson Theatre, Los Angeles. The 2010 revival was first performed on 15 November 2010 at the Theatre Royal, Plymouth then opened on 8 December 2010 at Sadler’s Wells Theatre. A major UK and European Tour followed until May 2011. 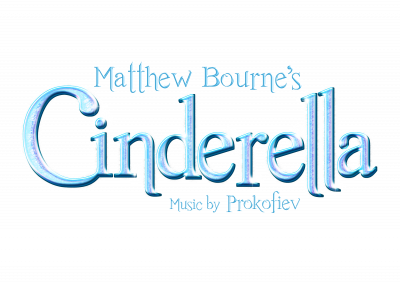 Matthew Bourne's Cinderella returned to Sadler’s Wells in 2017 for New Adventures' 16th Christmas Season from 9 Dec 2017 - 27 Jan 2018, followed by a major UK and International Tour, across Asia and the US, until March 2019. The show had its Japanese premiere at the Tokyu Theatre Orb on 3 October 2018.